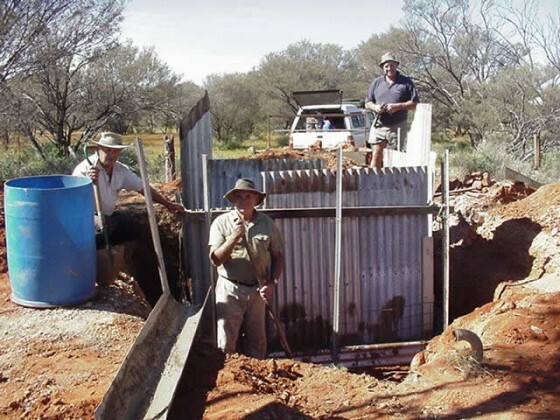 In accord with the club decision to restore Well 5 on the Canning Stock Route (CSR), Ross Smith (leader), Patsy Smith, Ivan Siviour, Stan and Noreen Snook together with volunteers (and technical advisors), Les and James Masters from Gingin arrived at the site on 18 May 2004. 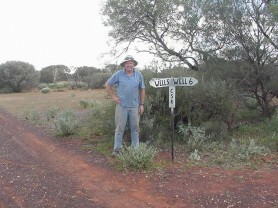 Well 5 is located on Granite Peak Station 254 miles north east of Wiluna. It took three long days of hard work to complete the restoration work. Ross transported a new well cover, windlass, bucket and barrier fence and other material required to complete the restoration work. Station owner Jim Quadrio provided cement, sand, aggregate and concrete mixer. He also generously provided a front-end loader to shift material and clean up the site on the final day of the restoration work. On arrival at the site it became apparent that it would be a big, risky undertaking. One side of the well had washed in below ground level apparently from a flash flood some time ago. A number of timbers had suffered severe termite damage and in some places had fallen into the well. To add to the drama there was also a large King Brown in the well and most unhappy to be swimming 10 metres below the surface. The first task was to dig down as far as possible to allow positioning of corrugated iron as form work for a concrete pour. During the digging rocks and soil fell into the well and disturbed the unhappy snake even further. 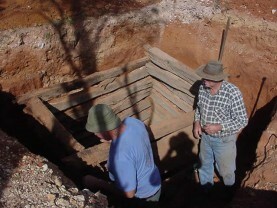 A large quantity of concrete was poured behind the existing well timbers. The concrete surround that rises above the ground, will now ensure the well top is above possible flash floods. Resulted in the finishing touches of putting the well cover, windlass in place and setting the bucket in operation. 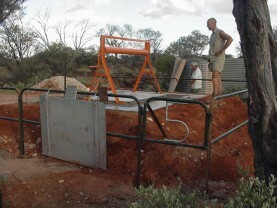 More concrete was prepared and put in place to secure the well cover and frame. The ‘Cat’ front-end loader arrived mid-morning and enabled site clean up and soil placement on the well surround. The pre-fabricated fence panels and entry gate were put in place with the commemoration plaque secured to the original well lid cover. 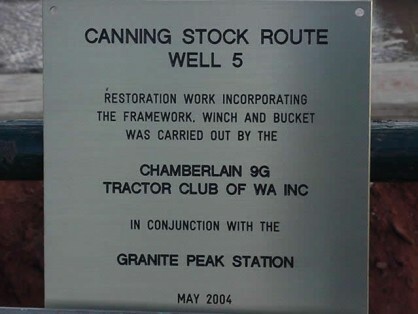 All in all, the team worked very hard to achieve the club’s objective of restoring Well 5. Throughout the days Patsy and Noreen ensured a regular supply of refreshments and prepared a diverse and excellent menu. 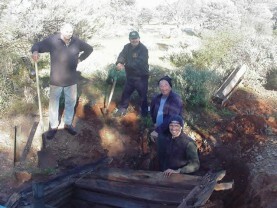 In addition they assisted with rock picking, shovelling and some crow bar work. 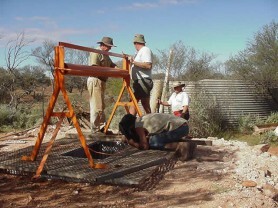 The final touches of the restoration were put in place for Well 5 to enable travellers to draw good water at this point on the Canning Stock Route. Special thanks to volunteers Les and James Masters for their excellent technical advice and on the job expertise. Ross lead by example and mixed all the concrete required for the project. Meanwhile Ivan and Stan provided the shovel power until Ivan expertly took control of the large front-end loader and achieved in minutes what would have taken a day. 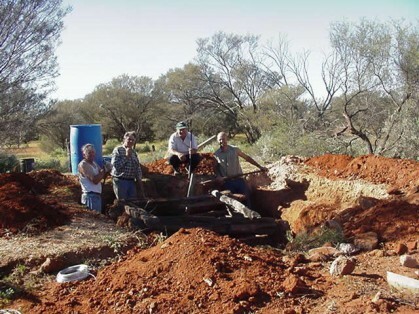 Mal and Trish Taylor, club members who with Ross and Patsy Smith carried out the initial project assessment of Well 5.